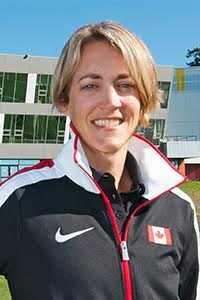 VICTORIA, BC – The Canadian Sport School Victoria (CSS) is proud to recognize alumnus Charity Williams, who became the first program graduate to be nominated to an Olympic team. A native of Toronto, Ontario, Williams was among the 12 athletes nominated on July 8 by the Canadian Olympic Committee and Rugby Canada to represent Team Canada in women’s rugby sevens at the Rio 2016 Olympic Games from August 5 to 21. She graduated from the CSS in 2013 after relocating to the B.C. capital to centralize with the Rugby Canada program and finish her final year of high school. The youngest member of the team, Williams made the jump from the club level to the national team program in just three years. Williams was named to the Canadian Women’s Sevens Youth Olympic Team that finished in second place at the 2014 Youth Olympic Games in Nanjing, China. She then made her Canada Women’s Sevens Team debut during the 2014-15 World Rugby Women’s Sevens World Series season at the Sao Paulo Sevens. A Canadian Sport Institute Pacific initiative, the CSS was created in 2011 to help to alleviate the pressures experienced by high performance secondary school athletes and ensure that future Olympians, Paralympians and National Team members have all the skills and resources needed to continue to progress as high performance athletes, while excelling both on the playing field and in the classroom. Williams is one of three CSS alumni to convert onto senior national team programs. 2014 CSS graduate Alexis De Armond is a member of Field Hockey Canada’s women’s squad, while recent graduate Caroline Crossley is part of Rugby Canada’s women’s sevens program.